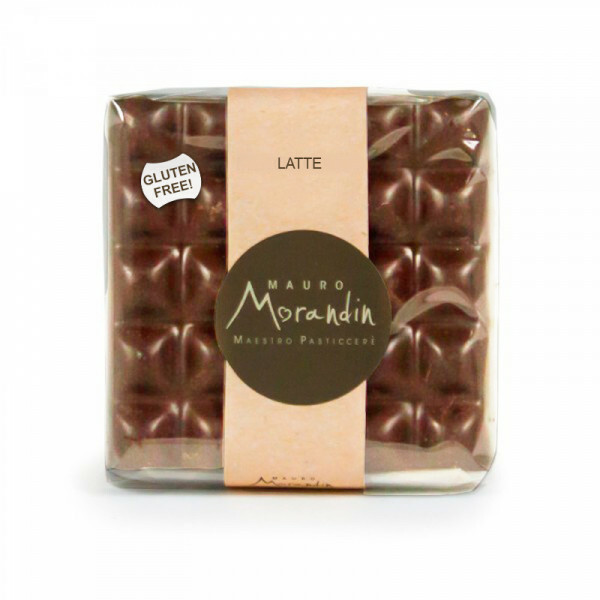 Unique and delicious handmade milk chocolate, without gluten! Morandin love to see chocolate grow. This is the reason why we start from chocolate beans of, at least , seven different provenance, from Ghana to Ecuador. And we adapt every flavour to a product to give him the best value: Pralines , simple or with liquors; dragés or gianduiotti. Or our classic chocolate bars. sugar, MILK, cocoa butter, cocoa, vanilla FLOUR, NUTS AND DAIRY PRODUCTS, EGGS. GLUTEN-FREE!